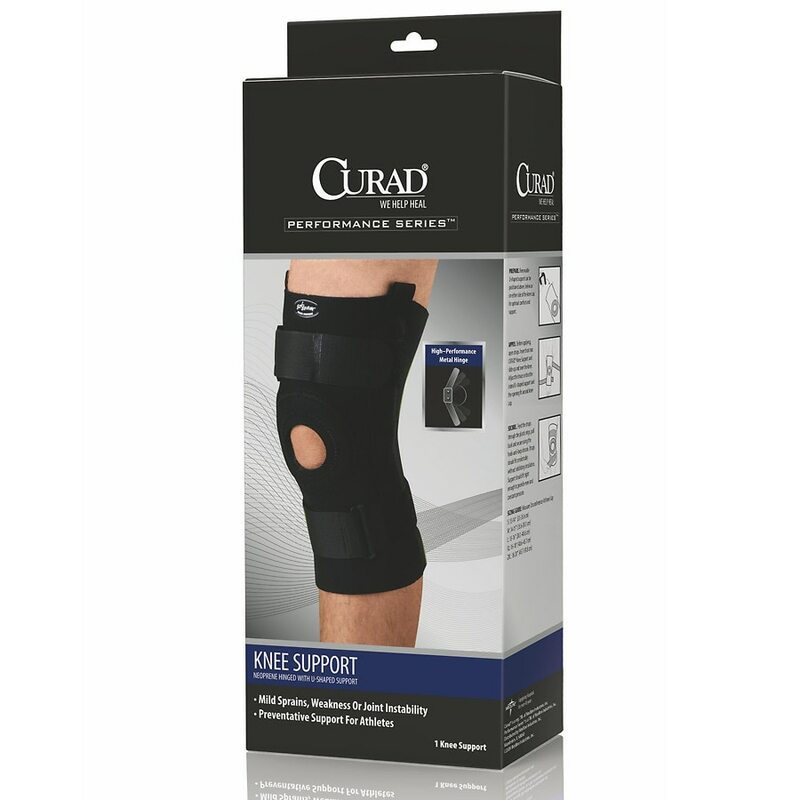 Curad's Neoprene U-Shaped Hinged Knee Support reinforces joint stability in a convenient wraparound support design. This Knee Support features one strap above the knee and one strap below the knee to enhance compression and support. The Hinged Knee Support is great for athletes looking to prevent injury or for those suffering with ligament sprains or injury. Knee Circumference = 15" - 16"